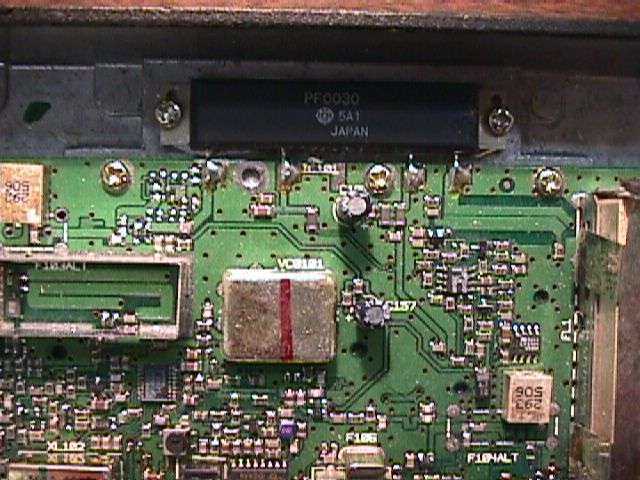 NCR 915 MHz WaveLAN (2 Mbps DSSS) pictures and IC descriptions. Most schematics are in their native Xcircuit PostScript format for ease of printing and modification. To use PostScript under Window$, you'll need to install the Ghostscript & Ghostview packages. Set Media to A2 for ease of viewing. Pictures of the above amplifier. Each of the sections was built as an individual module. This makes trouble shooting much simpler. Instructions for a homebrew 10-element 900 MHz quagi. Original 438 MHz colinear design. Picture of a homebrew 915 MHz J-pole using bronze brazing rod. Homebrew Yagi antennas for $5. Homebrew high gain colinear antennas for repeater use. 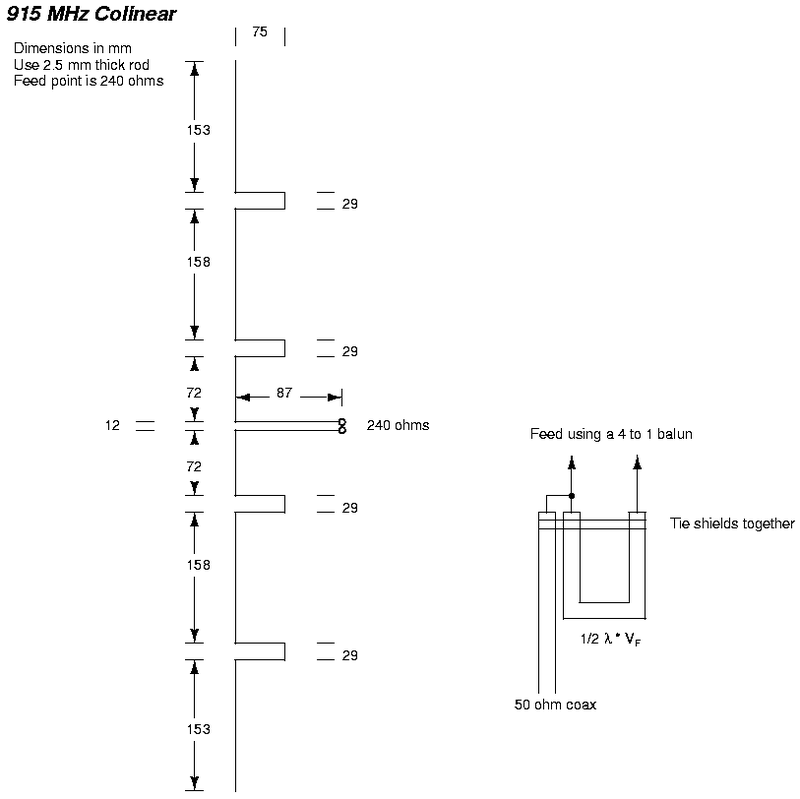 Homebrew high gain coaxial colinear antenna for 432 MHz. Very easy to make. M Squared The best deal. Yagi antenna gain can be approximated by counting the number of elements and then using this formula: 10 log (number of elements). 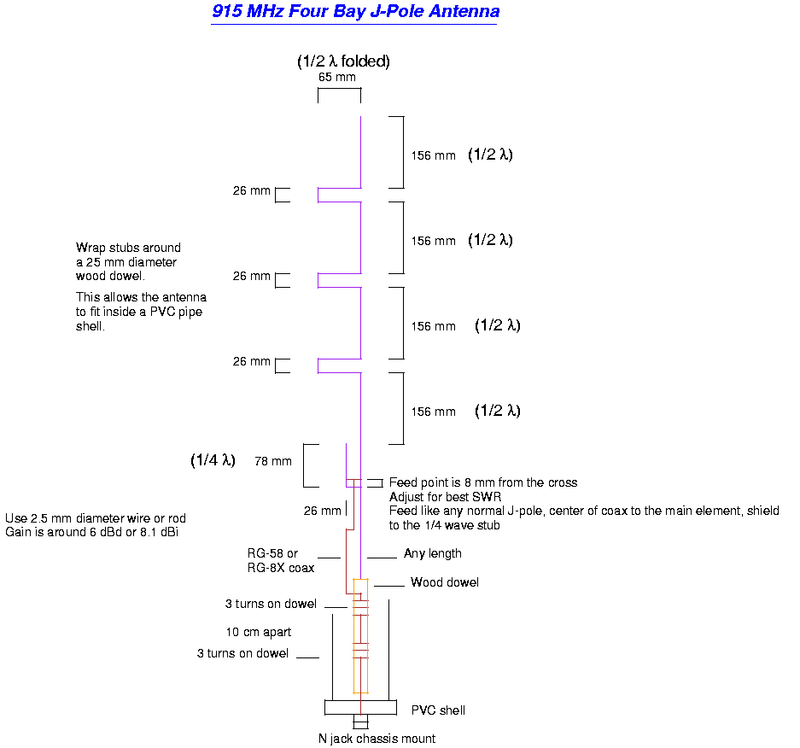 Example, a 8-element Yagi has an approximate gain of 9 dBd.